The best air conditioning units are quite possibly the ones you don’t even have to think about. They run quietly in the background, performing their job of providing your home and your family with the comfort that you deserve. However, in order to enjoy its benefits, you first have to have it installed, and therein lies the question: which one do I choose? Should you go for a bigger centralized system or would a smaller window-type air conditioner be enough? How much of an area can a portable air conditioner handle? How can I find the right type of system for my needs? We’ll answer all those questions and more in a short guide, so let’s dive right in. If you’ve ever shopped around in person or online for HVAC systems, you’ll find that there is an overwhelmingly large number of options you can choose from. The challenge, in fact, is finding just the right unit that meets your needs. You can narrow down your search field by recognizing that all these air conditioners can be, more or less, categorized according to capacity: small, medium, and large. Small types include portable air conditioners designed to handle a small room at a time, while large air conditioners can cool down large homes with three or more bedrooms. Capacity is measured in British Thermal Units or BTU’s, and it’s basically how much area an air conditioner can handle. Knowing your home’s capacity is the logical first step to finding a properly sized air conditioner. You can find a lot of useful BTU calculators online, and all you’ll need is the dimensions of your home and what comfortable temperature you want it to be. When you’ve matched an air conditioner that can handle your home’s capacity in BTU’s, the final step would be to look at energy efficiency. Products with the blue Energy Star Logo are a good place to start and often eliminate quite a few options right off the bat. Consider, however, that higher efficiency units will save you more money in the long run, but they are often more expensive up front. Sierra Air Conditioning Can Help You Out! 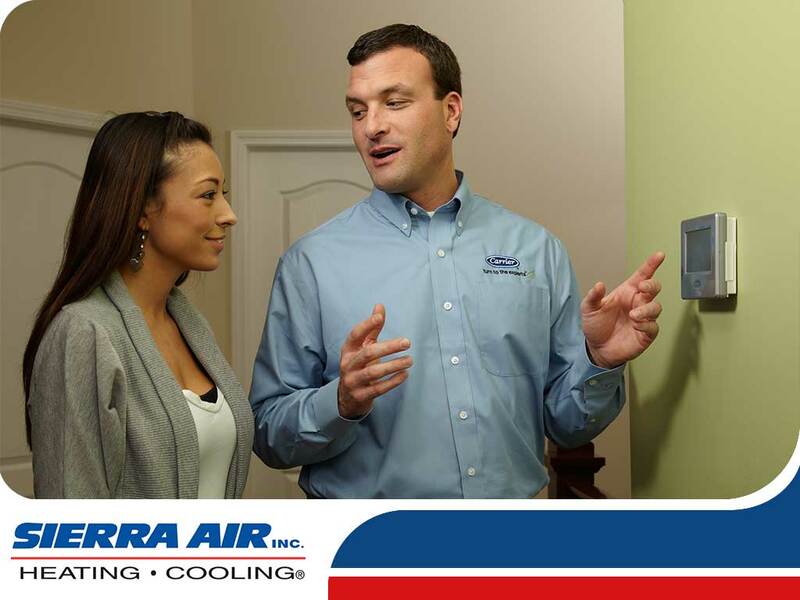 Call Sierra Air, Inc. today at (775) 800-5500, and our friendly technicians will help you find the right air conditioner for all your cooling needs. Services are available in Reno and all nearby areas.